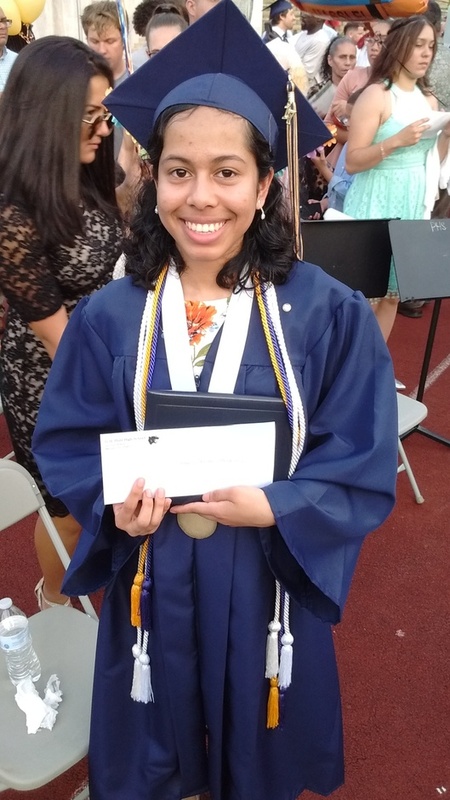 Last week we were thrilled to award the 2017 Zachary Weston Memorial Scholarship to Platt High School's valedictorian - Shaharia Ferdus. Shaharia impressed us with her ambition, intelligence, fortitude, and - above all - her desire to use her talents to help others. Planning to attend UCONN and then go on to medical school, Shaharia wants to help educate and provide medical care to those who need it most. We are so happy to be able to contribute to her dream. Congratulations, Shaharia! Learn more about Shaharia in a great article by the Record-Journal! Recommended oblique bangs, pear hot long hair. This section of http://www.ukhairextensions.co.uk oblique bangs, pear hot, long hair version of the type is very good, thick, thin, comfortable, very light and comfortable. Pear perm is fashionable, oblique bangs and http://www.humanhariextensions.co.uk buckle type hair tail design to help repair the face, suitable for all kinds of face, especially round face girls wear. I enjoy what you guys tend to be up too. This type of clever work and reporting! Keep up the good works guys I’ve included you guys to my own blogroll. A great thing I bookmarked your website, wish you best of luck, this is truly a great read for me.